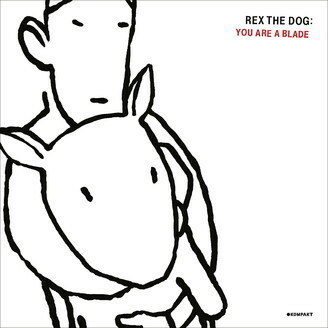 Rex is back to dog the 'floor with trippy, kicking , minimal house and acid. You Are A Blade is an expert lesson in big room midnight romance, riding with silvery arpeggios and slow, hunky electro-house/EBM momentum. Music Hypnotises bodies on the B-side with a taut, jabbing acid groove, and Wasp Factory hits the back of the throat with particularly metallic timbre before peaking with a belting diva stab.